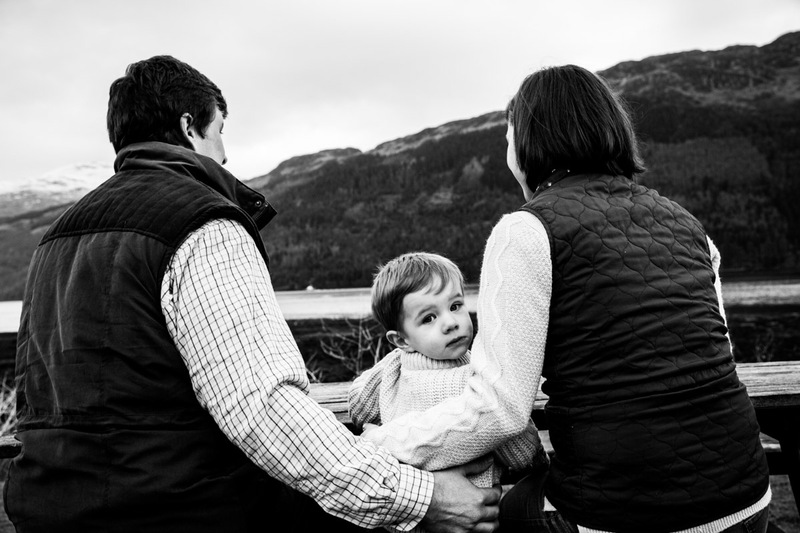 A Lochgoilhead photoshoot with Buck’s Photography is great fun for the whole family during your holiday. Whether you’re looking for a family photoshoot, couples shoot or even a pet portrait, I would love to capture some amazing images for you. I specialise in scenic outdoor photoshoots, with lots of natural light, beauty, and space to be creative. My approach as your photographer will be very relaxed and friendly. If there will be someone at the shoot who is not comfortable with having their picture taken, please don’t worry. There will be no pressure during your shoot, it’s all about having fun and capturing some beautiful moments. Your Lochgoilhead photoshoot will last for up to 60 minutes, so we can keep it short and sweet during your holiday! For the unpredictable Scottish weather, a shorter shoot also makes it easier to find a window of good weather on an unpredictable day! During your session I will capture some posed portraits, but would love to capture some natural shots of you enjoying your time together. After your shoot has taken place, your images will be edited and then provided via an online gallery. From here you will be able to download all the images from your photoshoot. A Lochgoilhead photoshoot costs £200. This includes an up to 60 minute location shoot and an unlimited amount of edited images. The images are perfect for printing, you can use your own company, or order prints and artwork through me. This can be done easily via your online gallery. The £200 will need to be paid in full before your session takes place. I would love to answer any questions that you may have about a shoot with me. Please get in touch if I can help you with anything. To see some previous photo shoots, please take a look at my portfolio.